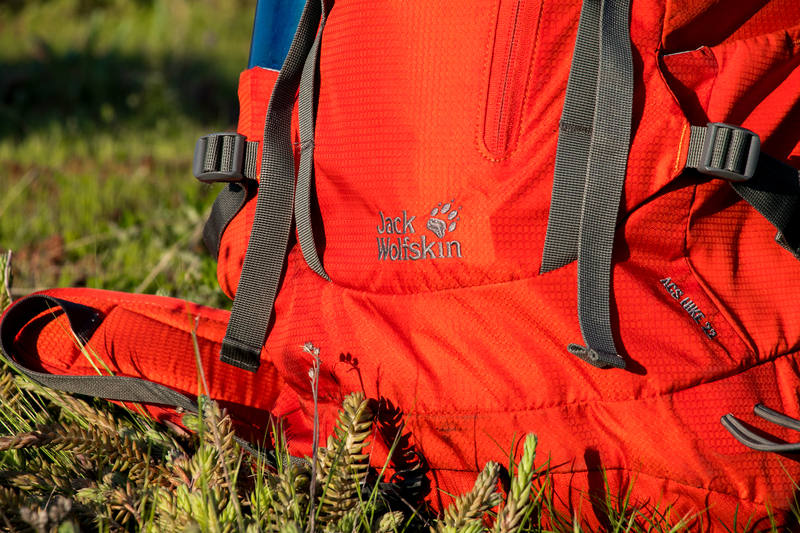 The Jack Wolfskin Trekking backpack is equipped with a lot of smart details and is a perfect daypack for day trips or as a tour backpack for longer hikes. We also tried it while running or biking, the backpack worked perfectly. Especially the ventilation system is really helpful and works great. The backpack feels super light and sometimes you forget that you are wearing one. The adjustable chest strap has a signal whistle attached. This can be useful in a lot of situations. The only problem with the highly adjustable chest strap is that it can be lost quite easily, especially when you are taller and have to move the chest strap all the way up. There is no stopper at the end. 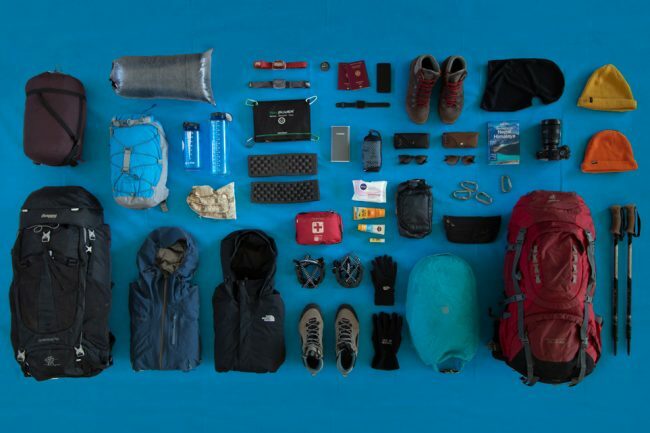 At the bottom of the backpack is an integrated rain cover. 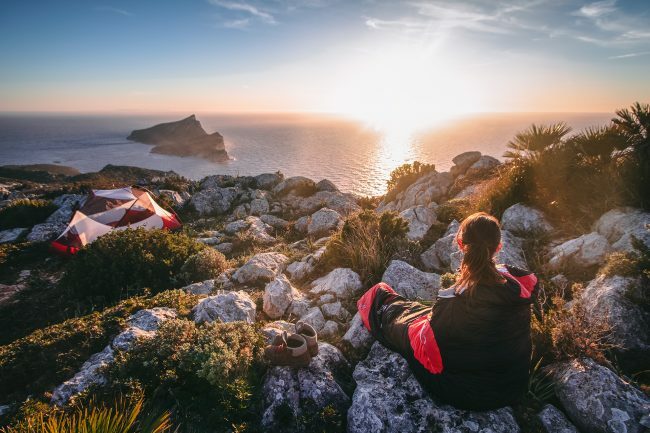 This extra layer of waterproofing also helps to protect your valuables from splash water while you are hiking, running, biking or even skiing. A good addition, and easy to use! The orange colour fits perfectly. The main compartment has a separation net. This helps to organize the backpack. The main compartment is quite big. 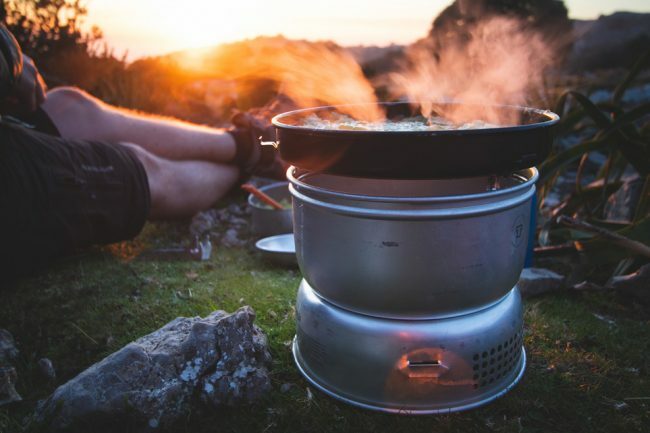 With room for everything you need for a day in the mountains. You can find a small leash, where you hang your water bladder. The tube can be guided through a special opening close to the shoulder strap. Your GPS and cereal bars can be stored in the pockets at the back or in the waist belt. Enough space for everything you need immediately. In total there are 3 small pockets, helping to organize your stuff. The water bottle holder on the side is quite small and our 1 litre bottles barely fitted. The shoulder straps are contoured and air mesh padded, making this pack comfortable as well. 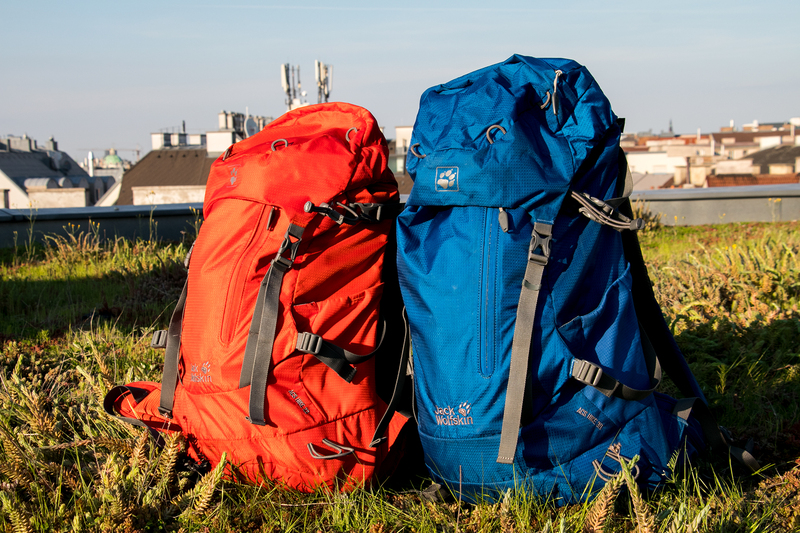 We love our Jack Wolfskin ACS Hike backpacks. If they would fit a stopper at the end of the “chest strap adjusting guide” there would be nothing to complain. This is the kind of bag that is a breeze to carry around all day, and one that can last against years of use/abuse as well. If you are not familiar with volume specifications, be aware while buying the backpack, it looks bigger than it actually is.